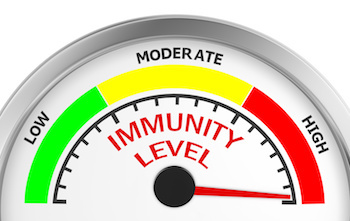 Boost Your Immune System is only available to members of Steven Horne's Member program. Why do some people catch every cold and flu virus that comes around, while other people stay healthy? Why are children raised in sterilized environments more likely to suffer from allergies and asthma than children raised in rural areas where they play in the dirt? With the advancement of the germ theory, improved sanitation has resulted in a major decline in infectious diseases. Unfortunately, the focus on reducing exposure to germs has resulted in less emphasis on keeping immune systems healthy and strong. You’re exposed to billions of bacteria, viruses, and fungi every day, but as long as your immune system is doing its job you don’t get sick. So, besides washing your hands and observing basic sanitation, you should think about what you can do to boost your immune power during the cold and flu season, rather than being obsessively germophobic. For starters, you should know that friendly bacteria and fungi are actually part of the body’s first line of immune defense. Excessive use of antibiotics and disinfectants kills off these friendly microbes and makes you more, not less, resistant to disease. So, you need to cultivate healthy intestinal flora if you want to avoid disease. Second, you need to make sure you have adequate amounts of the nutrients the immune system needs to work properly. Deficiencies in zinc and other minerals, as well as vitamins, A, C, and D will also prevent your immune system from functioning properly. There are also herbs, like echinacea, astragalus, and medicinal mushrooms, that boost the body’s natural immune defenses, helping the body resist whatever is going around. To learn more about these natural ways to enhance the immune system, watch Sunshine Sharing Hour. We’ll teach you how to stay healthy this winter by boosting your immune power using herbs, nutritional supplements, and other natural remedies. Don’t get sick this winter, join us and learn how to stay healthy during the cold and flu season.